A match official has admitted it was wrong for Black Caps all-rounder Daryl Mitchell to be dismissed followed a television replay in Friday's Twenty20 clash against India. The decision by third umpire Shaun Haig to call Mitchell out baffled fans, with the Black Caps themselves left just as confused after the match. The drama came after Mitchell was given out lbw to spinner Krunal Pandya. Mitchell quickly reviewed after consultation with captain Kane Williamson, indicating that he felt he had hit the ball. 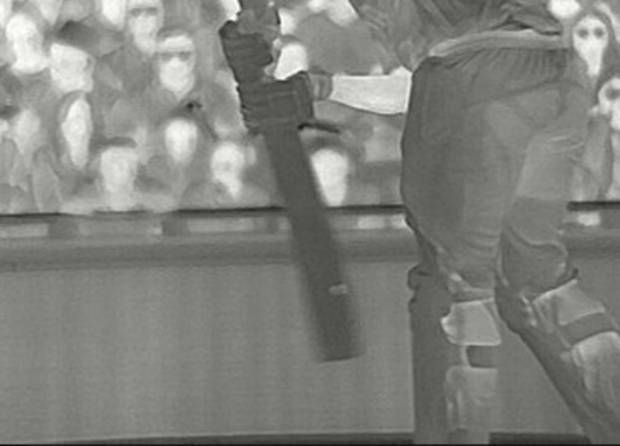 But there wasn't enough evidence for Haig to overturn the decision and with ball-tracking showing that the delivery would have gone on to hit the stumps, Mitchell was given out. 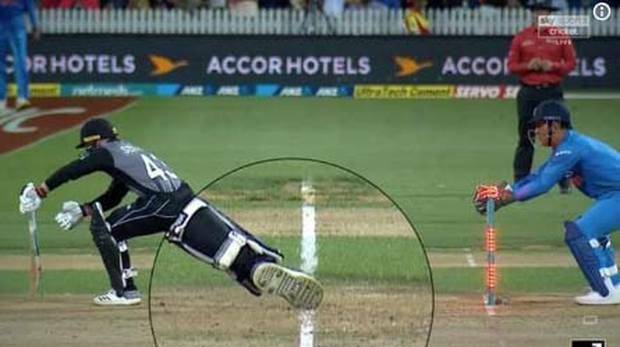 However, New Zealand Cricket Match Officials Manager Sheldon Eden told Jason Pine that upon review, Haig's call was wrong and explained how third umpire's decisions were made in accordance with the technology. "On review, we deemed that he made an error there, there was a hot spot, he should've gone with that but he's the first to put his hand up post the event and say he made an error," Eden said. "He deemed on the night that the mark on the bat was from the inside edge of the bat brushing the pad, in hindsight that was wrong, there was a clear inside edge on review at the time. "We've got a really strong process around DRS ... there's always tinkering and there's always improvements to be made but holistically it's a very good system, 99 per cent of the time it comes to the right outcome. "You've got all this technology but there's still humans behind it operating it ... we want them to interpret the information how they see it through their experience, through their time in the game." Controversy over another third umpire's call in Sunday night's final Twenty20 clash sparked further debate among cricket fans. India's MS Dhoni was hailed as the "master of stumpings" when the veteran wicketkeeper took off the bails in 0.099 seconds. The speed of the event saw third umpire Chris Brown summoned to make the potentially pivotal call on whether Black Caps opener Tim Seifert was indeed out. After stating that in his opinion, there was "nothing behind the line," Brown dismissed Seifert, much to the surprise of commentators and fans who believed the Kiwi's foot was planted behind the line. While many still gave credit to Dhoni's fast hands, the decision to call Seifert out didn't go down well, with some Black Cap fans sparking another debate on Twitter. "And this was given out," one fan questioned on Twitter, posting a screenshot of the replay. "On the line is out. The batsman has to behind the crease, not on the crease," one user replied. "We shall need a 4th umpire to review the 3rd umpire. Questionable decision but nevertheless MSD is lighting quick. Classic stumping," posted another. Eden said that they were still in the process of reviewing Brown's call but that it was likely to stand. "In [Brown's] view, there was nothing grounded behind the line, Eden said. "It was a pretty straight forward decision for him to make. We're still going through the review process but from what we've seen we believe he was correct."